Triton employs a team of experts. Among them is Mike Dunn, CSSW, CSRT. Mike is a structural waterproofing specialist and prior to joining Triton he worked as an installing contractor and is therefore able to provide effective and practical solutions to architects and surveyors, as well as training and technical back up to contractors during installation. 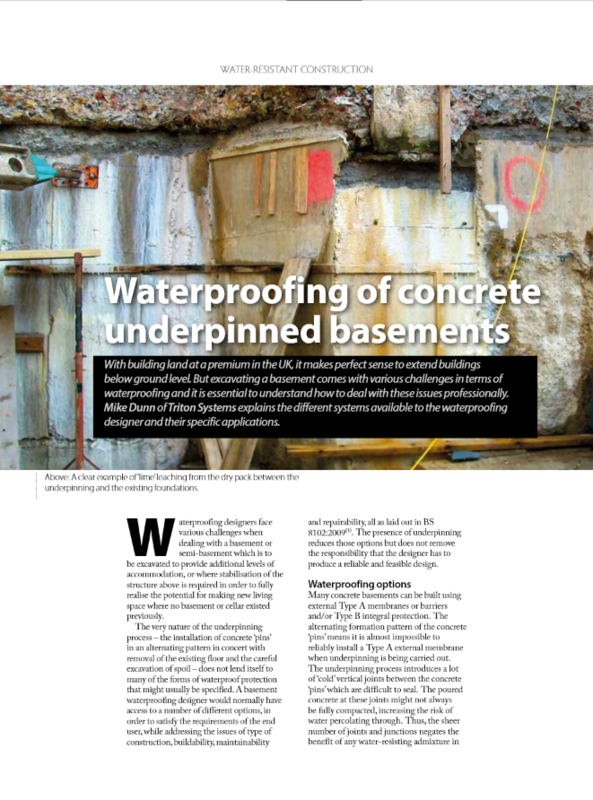 Mike was commissioned by Concrete magazine to supply an article on the ‘Waterproofing of Underpinned Concrete Basements’ -The article is included here by kind permission of Concrete magazine.